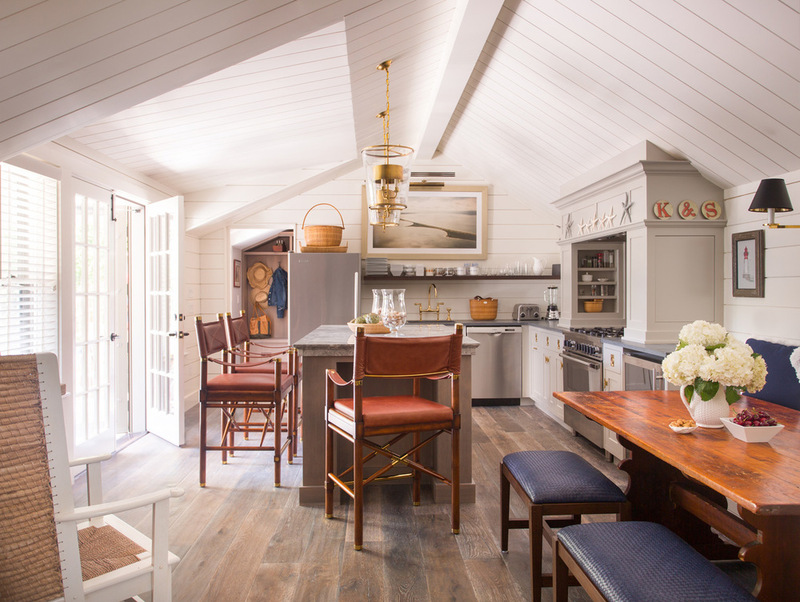 Small Nantucket Cottage — DESIGN ASSOCIATES INC. 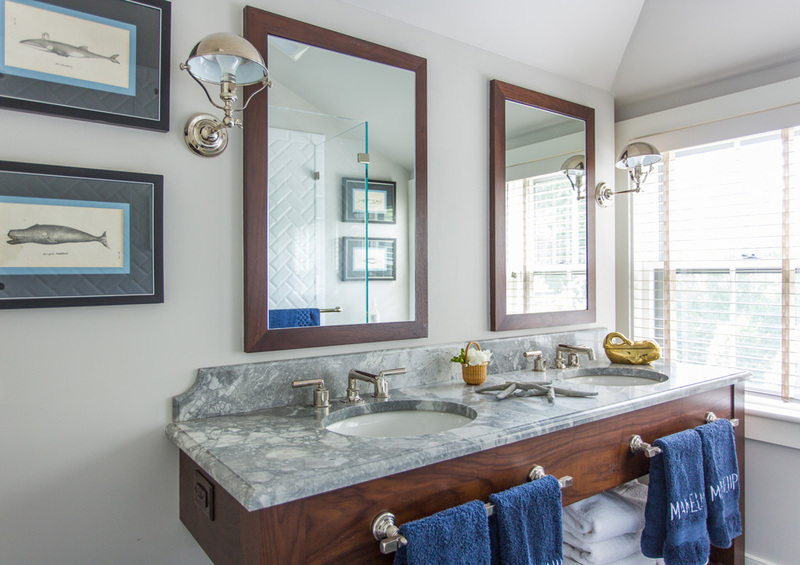 Completely renovated, this circa 1848 cottage near the Nantucket Downtown Historic District has been reimagined with all the qualities of a classic summer cottage. Weathered white cedar shingles and simple trim, complimented by trellised roses and colorful flower boxes clad this compact in-town dwelling. The cleverly expansive interior is finely, but simply detailed. 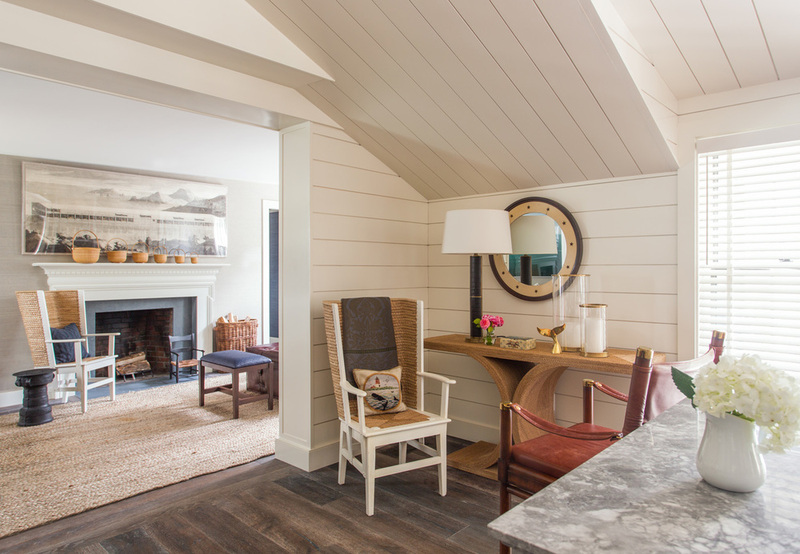 Traditional, white painted shiplap walls and ceilings compliment the dark wide plank floors of informal spaces. Foregoing upper cabinets in the kitchen extends a feeling of opennesss from the sitting area through the whole space. The living room possesses a simple formality appropriate to the setting. Tucked away from the street an intimate outdoor room adds to the living space. Frank Daily of Daily Construction was the builder.